Sleek utilitarian design paired with fine Italian craftmanship. Common Projects is renowned from the designer duo Flavio Girolamis and Prathan Poopats ability to create modern street style versions from the most classical shoe styles. Always keeping in mind the minimalistic overall impression and focusing on the polished details that make every Common Projects pair a great example of design that is carefully thought until the last detail. The brand is usually connected to their valued Achilles Low sneaker style and recognized from their unique branding: Gold fo. Read more..
Sleek utilitarian design paired with fine Italian craftmanship. Common Projects is renowned from the designer duo Flavio Girolamis and Prathan Poopats ability to create modern street style versions from the most classical shoe styles. Always keeping in mind the minimalistic overall impression and focusing on the polished details that make every Common Projects pair a great example of design that is carefully thought until the last detail. 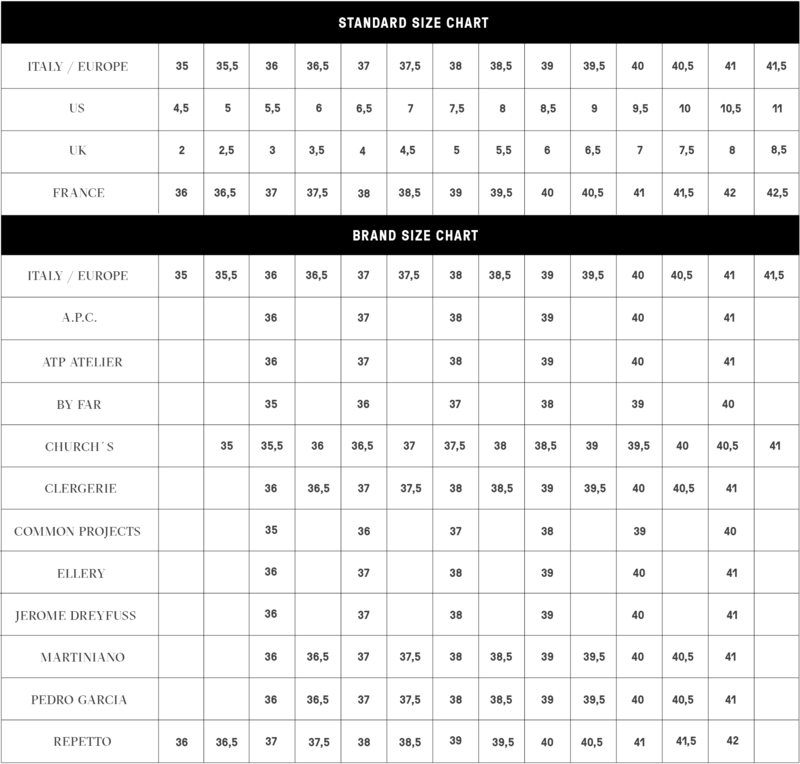 The brand is usually connected to their valued Achilles Low sneaker style and recognized from their unique branding: Gold foiled numbers on the outside of every pair. This code reveals the style number, colour and size of each pair. 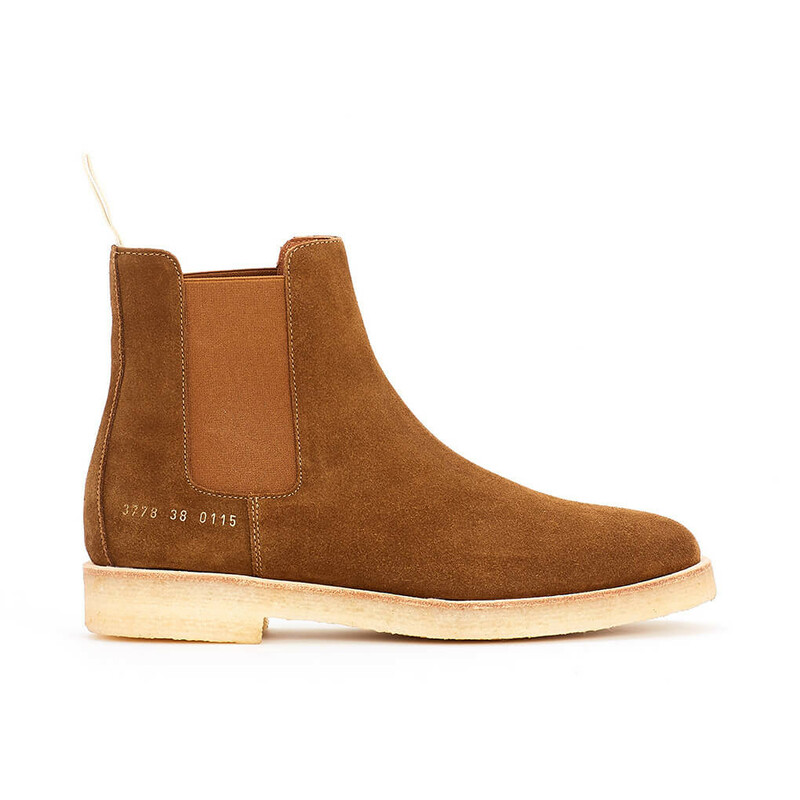 Common Projects chelsea boot is crafted from premium suede in warm tobacco brown. Sole is constructed with beautiful stitched down construction from rubber crepe for comfort and casual look. The light colour of the crepe and leather welt creates a fresh touch and contrast to the brown suede. Elastic panels on the each side for easy wear and close fit. Cross grain pull tab is a functional subtle flag of distinction. 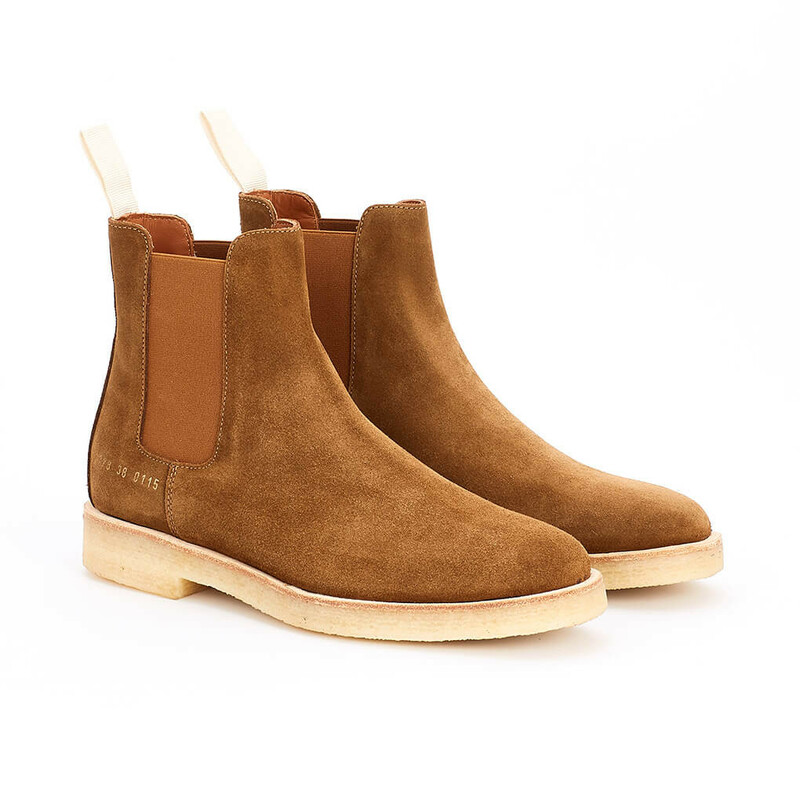 1 x Chelsea Boot Tobacco was added to your shopping bag. 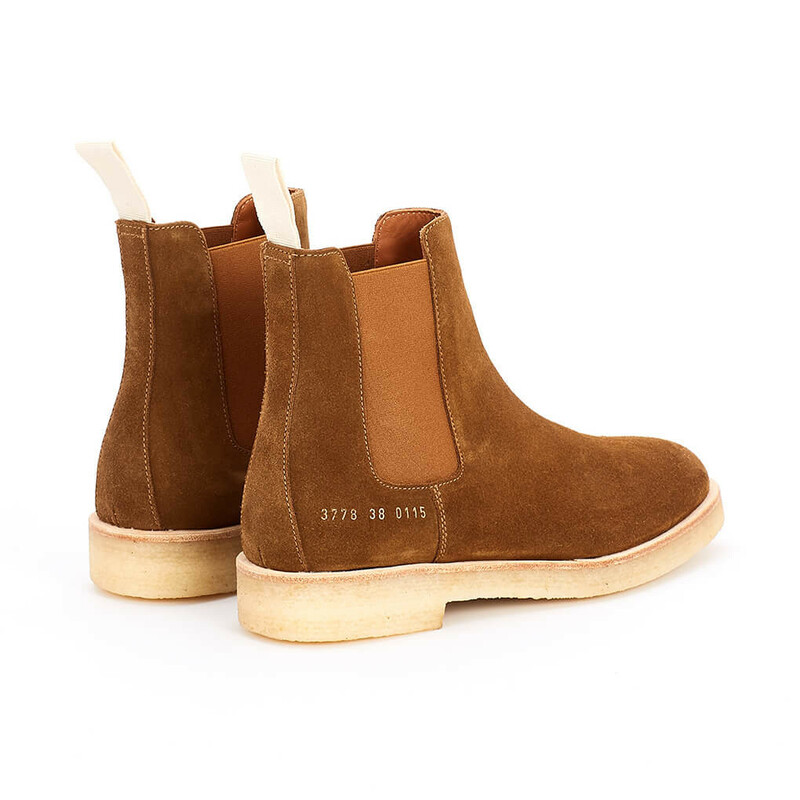 1 x Chelsea Boot Tobacco was added to your wishlist.